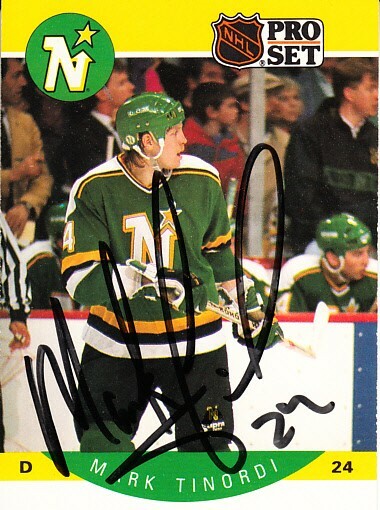 1990-91 Pro Set hockey card autographed in black Sharpie by former Minnesota North Stars defenseman Mark Tinordi. Obtained in person, with certificate of authenticity from AutographsForSale.com. ONLY ONE AVAILABLE FOR SALE.